UXBRIDGE, U.K., May 11, 2016 – Hunts, an innovative print and design company based in Oxfordshire, has installed two Xerox Versant® 2100 Presses to bolster its digital printing capabilities and support the company’s ambitions for business growth. Hunts offers high quality digital printing as well as award-winning creative design services. Its customer base spans a diverse set of industries from across the U.K. including beauty, technology and education. With a commitment to providing unrivalled quality in the digital printing market, Hunts has ambitions to grow its business by twenty per cent over the next twelve months. The company required a solution that would expand its digital printing capacity and enable it to commit to larger orders and tight deadlines. 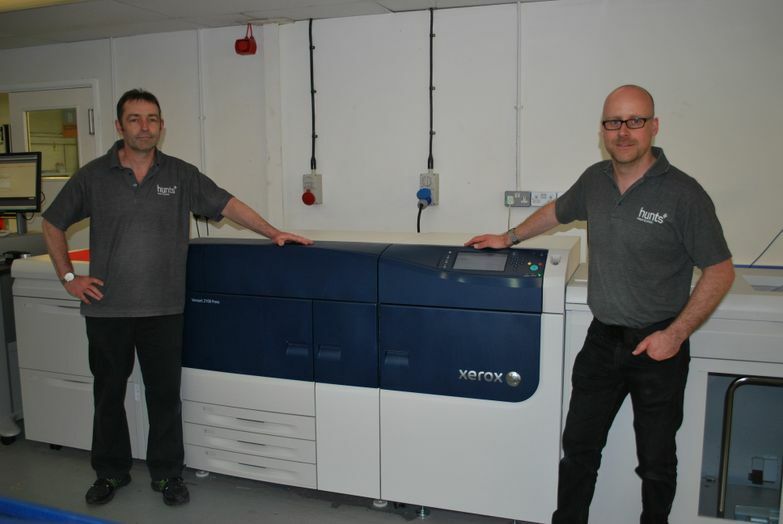 Following the installation of the Xerox presses, Hunts has trebled its digital printing capacity. The Versants use Xerox EA Low Melt Dry Ink that produces great quality with a low-gloss formulation that gives all applications a smooth offset-like finish. The presses have also helped Hunts to meet an increased customer demand for printing full colour envelopes.